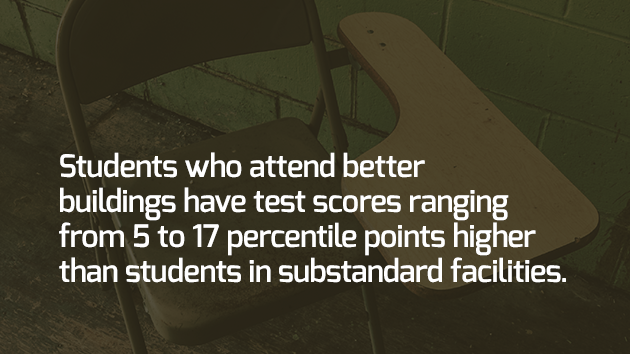 Why Are Teachers and Kids Working in Buildings That Are Falling Apart? We desperately need dedicated educators willing to build a career around serving today’s learners and today’s communities-our tomorrow depends on it. Under the guise of “reform”, public education and teaching have been under a years-long attack driven by private interests in collusion with policymakers looking to profit from and gain control of a private education market while alleviating financial obligations to the public and public servants. For teachers this has led to increased frustration and willingness to get out of the profession and retire as soon as they can- or even retire early. For young college-bound people who could be great assets to communities as teachers it has led to them being pushed into other pursuits.